We will be gathering in centennial square in response to the Wet'suwet'en call out for a day of prayer. This is not a protest, or action, this is ceremony. Bring your drums, bring your singing voices, and bring your medicine. Please be respectful that this is an Indigenous lead event. We encourage that any and all Indigenous drummers and singers come and partake in this ceremony for our northern brothers, sisters, and folk. 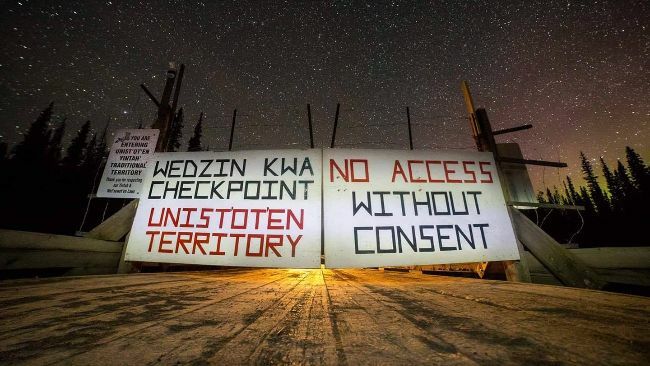 Coastal Gaslink and the RCMP have unlawfully trespassed and disregarded the sovereignty of the Wet'suwet'en impeding on their hunting rights, land rights, and basic human rights. We acknowledge that we are guests on the Lkwungen speaking peoples territories. We will respect and observe their laws while we gather in ceremony. "The Wet’suwet’en peoples: our culture, and our territories, have been under unwarranted & lawless attack from corporations, government, and the rcmp. We still face daily harassment, and unlawful occupation by the rcmp, destruction of our territories by Coastal Gaslink, and the forced imposition of colonial law. This colonial system is the reason for the military style attack on Gidimt’en territory, resulting in arrests of 14 people. Those 14 people, unconstitutionally arrested, appear in court on the 4th of February - and we hope for support & healing for the trauma they endured. This trauma reminds us, that the violent process of colonization is ongoing. In the unceded, traditional territories of the Wet’suwet’en (and according to the Supreme Court of Canada via Delgamuukw), the Hereditary Chiefs of the Wet’suwet’en still hold jurisdiction of the territories. The hereditary chiefs have NOT given consent for CGL to enter their territories, let alone destroy their lands - and certainly not personal property. We call on all people to offer prayer (and those who hold rights to Ceremony, to do so), for an International Day of Prayer and Ceremony. As Wet’suwet’en peoples, we are strongly connected to our spirituality, and therefor the land, air, waters - and everything they sustain. We ask that you peacefully engage in activities, to encourage healing from the harm & destruction that has incurred throughout these violations. These are violations of Indigenous rights, human rights, and the rights of our Yintah. Please join us, by offering prayer & cultural ceremonies - in whichever manner you practice. We believe that we all benefit from the earth, and peaceful interactions upon it." Banner Making Night: Stop Old-Growth Logging! Come and help us make a banner! Want pizza? Let us know what kind! This event will take place on unceded Lekwungen territory. 16,000-strong demand for old-growth forest protection to be delivered to MLA offices across southern B.C. 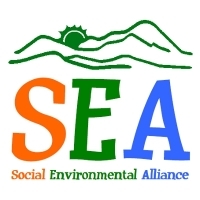 Victoria—On February 6, Sierra Club BC and Leadnow representatives and concerned local citizens will deliver a letter signed by more than 16,000 B.C. residents to the constituency offices of four BC NDP MLAs. An additional seven deliveries will be made by individual concerned citizens to MLAs in Coquitlam, Campbell River, Cowichan, North Vancouver, Powell River, Surrey and the Okanagan. The letter makes an urgent call for the protection of the last intact stands of unprotected old-growth on Vancouver Island and immediate protection of endangered old-growth forests across the province. Eighteen months after taking power, the government has failed to take meaningful steps to protect endangered ancient forests. When: February 6, 10:30 a.m.
Molly Wickham and Cody Merriman will be speaking about the RCMP invasion of their territory and the ongoing struggle to protect the Wet'suwet'en yintah (land) from oil and gas infrastructure projects. Please join us as we kick off a new season of our Communities and Collections program. Be part of our journey as we reflect on the role of the Gallery in the community. Through this program, we have the opportunity to explore how cultural institutions can rethink ways of doing, and be spaces that are relevant, engaging and responsive to a range of communities and experiences. In this community conversation, we are pleased to welcome Estraven Lupino-Smith, Victoria based artist-researcher and director of the Institute for Critical Ecology, and Alexis Hogan, Victoria based artist, curator, and Office and Communications Manager at the Compost Education Centre. We will explore the power of walking within walking based public programs and art practices. How might the act of moving through an environment be a form of activism, or how can that act reinforce colonial ways of being? When engaged in off-site programming, how do we responsibly deliver our programming in the public realm? What is the history of walking, walking tours and the dynamics that emerge in those interactions? How might those interactions account for the history and current state of the sites they encounter? Admission by donation. Everyone welcome. The Art Gallery of Greater Victoria is located on the traditional territory of the Lekwungen speaking peoples, today known as the Esquimalt and Songhees First Nations. We extend our gratitude and appreciation for the opportunity to live and work on this territory. The Art Gallery of Greater Victoria is wheelchair accessible with a ramp to the main entrance and into the gallery spaces. The upper-level administration offices are not wheelchair accessible and are accessed by three flights of stairs. There are four gender inclusive washrooms that are wheelchair accessible. This is the launch event for the photo project Profiling Black Excellence, documenting and sharing the experiences of racism and racial profiling experienced by people of colour in and around Victoria and the lower mainland. Cash donations will be accepted and appreciated to help support the continuation of this project. There will be food and drinks (alcohol as well) on offer at the event at no cost. We will be gathering to show City Council that there is strong community support for the purchase of the Blanshard Elementary site and creation of public space for the community there. We envision a space for community events and meetings, daycare spaces, a library, a neighbourhood gym, and a wonderful green space and outdoor play area for everyone to enjoy. This year’s BC Provincial Gathering and Day of Fasting will be held on February 13th in Victoria. It will be a wonderful, family-friendly day at the Victoria Conference Centre with keynote speakers, workshops, and a Walk to End Violence to the Legislature. Can’t wait to see you all in February This is a free event and we welcome everyone and anyone to join us for the day. standing up against violence towards women and children. Participating in the campaign is also an act of reconciliation. murdered Indigenous women in Canada. violence towards women and children. As an organization, the Moose Hide Campaign focuses on engaging men and boys to end violence against woman and children. In pursuing this we respect the dignity and gender identity of all peoples and aim to create inclusive and safe spaces for participants at campaign events. We believe all LGBTQ2S are sacred and we support any effort to raise awareness and bring an end to gender-based and domestic violence across all sectors of society. Please join us Thursday. February 14th at 10:00 am at VIRCS. We will talk about how to recognize discrimination and how to respond to it. BC Black History Awareness Society was started 25 years ago. Learn about our history - Who, what, when and why … and how we continue to deliver on our purpose and mandate. We are in good company. Be part of the celebration of our collective histories with these iconic historical societies. Saanich Pioneers founded 149 years ago. United Empire Loyalists 75 years –1 in 10 Canadians has a connection. Victoria Genealogical Society 40 years helping people discover their family stories. Old Cemeteries Society since 1983 - Find out why cemeteries are fascinating. Visit the displays, hear and talk to the experts, revel in the Oak Bay High Jazz Band, enjoy snacks and beverages. A guided tour of the graves of many Black pioneers of long-ago Victoria , including Sir James Douglas who was instrumental in their migration in 1858. Hosted by Valin Marshall of BC Black History Awareness Society and John Adams of the Old Cemetery Society. Arrive 10 minutes early to purchase your ticket. Rain or shine. $5/person. $2 OCS, BCBHAS members. Meet in front of Oregano’s, Fairfield Village, 1-1516 Fairfield Rd.